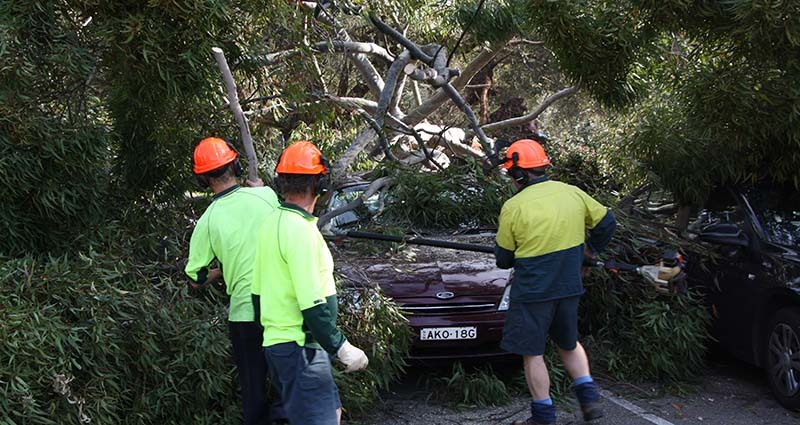 The storm on Friday 8 February has hit some areas in our Shire hard and there is a lot of green waste to get rid of, particularly in Berowra, Berowra Heights and Hornsby Heights. As an immediate response our teams were out there last weekend and helped to re-open roads … but we know there is more work to do. We have now managed to organise an extra one-off green waste clean-up for the above suburbs. As of Monday 25 February our teams will come through and pick up any storm generated oversize green waste, such as fallen tree debris and large branches, from verges in Berowra, Berowra Heights and Hornsby Heights. For information and advice on managing fibro asbestos waste resulting from property damage during the Sydney hailstorm, please read the following Asbestos After Storms brochure. If you are reporting a bushfire please call the national emergency number 000. Over one third of Hornsby Shire residents live close to bushland reserves and National Parks. There are many actions that can be undertaken at the personal level to contribute to bushfire preparation and management. Make sure you have a Bushfire Survival Plan and know what to do in the event of a bushfire near you. The NSW Rural Fire Service provide fire and emergency services including hazard reduction burns and bushfire survival management plans. Fire & Rescue NSW provides urban fire and rescue services in NSW. NSW State Emergency Service (SES) is responsible for floods and storm damage. SES also supports police and other services in search and rescue, major emergencies and disasters. AusGrid provides electricity to the vast majority of Hornsby Shire Residents. You can check whether you are within AusGrid's supply network by entering your postcode into AusGrid's Network Area Check form. Visit www.emergencyalert.gov.au for more information. Stay up to date with emergency warnings and incident information by downloading the Fires Near Me app. This app provides information on incidents across NSW attended by the NSW RFS and other agencies. Visit the Bureau of Meteorology website for weather information and warnings prior to engaging in outdoor activities such as bushwalking, swimming and boating. Visit www.bom.gov.au for more information. The Office of Emergency Management (OEM) leads, coordinates and develops capability in the emergency management sector and conducts state-wide welfare and recovery operations when disaster strikes. Visit www.emergency.nsw.gov.au for more information.